After many miles I really think he continental eco contact 5 is hard to beat as an all rounder. I have just put 2 new ones on the front of mine. It’s the opposite funnily enough. It’s thinner than the last, but the string now has clips on that really easily come off hence 2 are required. I never had that issue with the old shelf. Raj, there is only one reason the new one has 2 strings.. it needs them, Toyota changed it from a rigid shelf like you have to more of a fabric blind. If you put anything of weight on it say more than a coat..it would almost certainly collapse and the clips would all come off. Mine barely stays on with one string 🙂. Hello, i have noticed one of the strings is missing off my parcel shelf. Does anyone know a if I can buy this online anywhere rather than a trip to a dealer as it’s small enough to go through the letterbox. 2016 Aygo with the string that has the clips on it to hold the parcel shelf. Amazing, thank you Devon Aygo 🙂 that’s great. Interesting the prices are fitted. 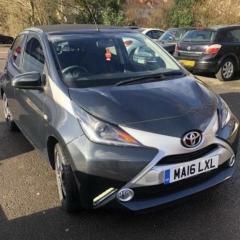 Hello everyone, I’m hopefully going to buy a well specced White Aygo 2016 the weekend. But I would really like to know where I can buy the red door bumpers and boot trim. Is this something I can buy direct from Toyota? The car I am buying is plain white, but I want it to look like this this.. I will get windows and red roof and front bumper wrap done at a very good local tinted/ wrapper I have used before. I guess I will also have to go to Toyota for a black set of those wheels. Hello Everyone, I have seen a 2006 4 door Aygo Diesil with low miles,good condition and a good price. I am considering it as a commuter / hack car.. does anyone have any opinions on these diesels regarding reliability? 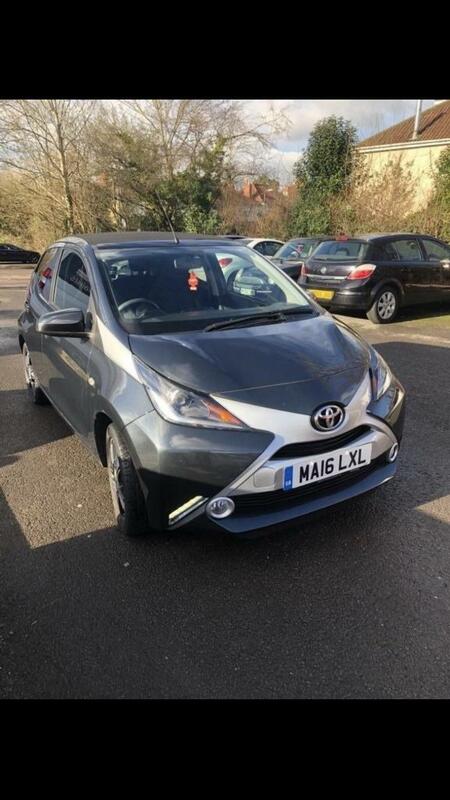 I see it’s a 1.4, and on the book the economy is higher than the petrol Aygo which Is amazing to believe. And torque is higher. Anything to watch out for on the diesil ? Hi Lee, I would like a high spec model, in white and red trim (like he press car & andverts, I really like that) with leather, car play and fun roof (if possible) . so high spec in whatever model that configuration allows. I can add nav though on the configuratior. Athough the Apple car play maps will be my preference and use maps from phone. That’s what I have been waiting for.